If you've ever popped the hood of your Volvo S60 Inscription or Volvo XC60, chances are you had one of two reactions: either amazement or confusion. Maybe both? While the former is certainly to be expected, Crown Volvo Cars is here to address the latter. 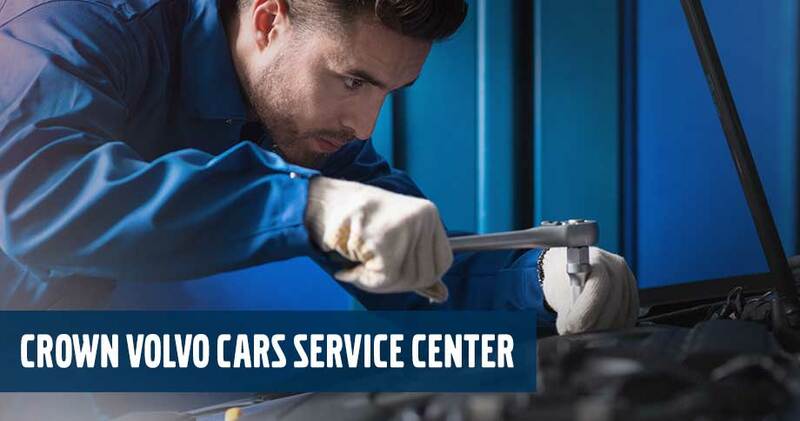 Our team of onsite auto service and repair experts are here to demystify the question of what goes on under the hood of your car by providing comprehensive, and more important routine maintenance to drivers from Clearwater, Largo, Dunedin and Saint Petersburg. Of course, there are also times when bigger fixes are needed. And when they are, our team is also standing by to perform any such repairs in a timely fashion. Among the other services we offer are oil changes, tire rotations and multi-point inspections. Whatever your car needs, Crown Volvo Cars has you covered. Looking to take advantage of our expertise? Crown Volvo Cars isn't just standing by; we're ready to get to work for you. Be sure to fill out our online contact form to get started, after which we'll promptly confirm the details of your appointment.